Photographed by Nina Westervelt/MCV Photo. We've all heard about the insane salaries pulled in year after year by the world's biggest supermodels — the figures can be truly jaw-dropping. But when you get down to it, not everybody is making big bucks like Gisele. In fact, most models have an important choice to make: Should they go for the money jobs, like fit modelling, commercials, or catalogues, and risk losing their chance at high-profile fashion work? Or should they take jobs for next-to-nothing (and sometimes literally nothing), in exchange for crucial industry cred and exposure? We chatted with a professional model who took the latter route. We'll just call her Rose, as she'd like to remain anonymous. She's been in the business off and on for about three years now, with relative success, and has had the opportunity to work with some of the most respected brands and photographers in the industry. But, she's not exactly making millions. Like most people in their early 20s, she gets by just fine, but unlike a lot of those same peers, she can't rely on a regular paycheque — not even during the busiest times of the year. 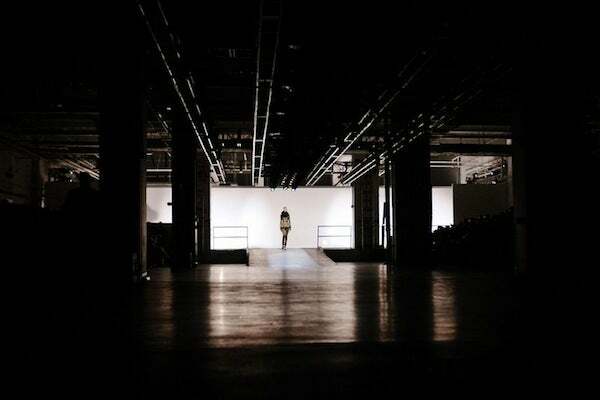 You might think that Fashion Week is a model's bread and butter, and that's true in the sense that it's your best chance for a big break and one of the busiest times of the year. But, according to Rose, "it's more about exposure. I count on things like pre-show work with a designer testing out looks. You can make up to $1000 in a day just trying on clothes for someone." On the other hand, she's done shoots with major international magazines without collecting a single penny, and stood for hours on end in presentations for a couple hundred dollars. But there's some middle ground, as well. Many shows offer trade instead of actual monetary compensation, which means one of two things: A free-for-all at a pile of clothes after the show, or a gift card to shop the brand's own products, sometimes restricted to pieces from several seasons ago. "My agent definitely does all she can to get me the most money possible," Rose says. But basically, her jobs outside of Fashion Week are usually the ones that pay best — especially work for online stores, which have provided some of her biggest paychecks this past year. So, when you get down to the raw numbers, what did Rose make at New York Fashion Week? We've broken it down below, in two categories — internationally known mass brands that are essentially run as corporations, like say, DKNY, and independent brands with serious cred in fashion but less recognition among the general population, such as Suno or Rodarte (the model interviewed for this article has not worked with any of these brands). Rose is not pictured in this photo, nor did she walk in any of the shows used to illustrate this story. Making $4,200 in a week doesn't sound bad on paper, but this biannual blip is by no means a regular income. It's not unusual for models to go weeks without a paycheque, and when there is money coming in, it's not like all that cash goes straight into the bank. During the last NYFW, Rose spent nearly $400 on transportation alone, from cab fares to a driver hired by her agency on a particularly busy day. In that instance, she wasn't told how much it would cost beforehand, and after the tab grew to $250, she decided to walk between jobs for the rest of the afternoon. Then, there's the additional expense of sending a portfolio to clients — simple comp cards can cost around $200. After that, she'll head off to Paris, London, and Milan for the rest of the month, where she says her best hope is that she'll break even with her expenses, which will include a €40/night model apartment and an $800 round-trip ticket. These expenses will automatically be discounted from any money she makes going forward. So, is it worth it? Though she's done some impressive work, Rose says she "was hoping to do better shows this year." At the strong advice of her agency, she's had to turn down a number of gigs (some paying, others not so much) in the interest of her image. "Smaller decisions, the agency will make on their own. For example, for a smaller show without much press, they say no, unless it pays really well. For larger decisions, they'll definitely give you their opinion. In that case, it's your choice, but they'll make it very clear what they think is best. Ultimately, I trust their judgment." If you're familiar with the industry, you know Rose's story is pretty typical. Even the big names started out this way. But as Rose says, at this point, you're not in it for the money. You're making an investment, and it's a risky gamble. Only a tiny percentage of models end up famous enough to make serious cash, and the window of opportunity is short. Rose has an education and a number of other skills and interests that she'll be more than happy to pursue should modeling not pay off, but there are plenty of young models who drop out of high school at 16 or 17 and have fewer fall-back options. It's scary, to say the least, though some can make a career of it off the runway, with fit modeling or mainstream commercial work. We're not the first ones to say it, and we won't be the last, but modeling is a tricky business, and not just because of the reasons Rose outlines above. While some models are luckier than others in the genetic lottery, plenty of them — gorgeous, tall, and lithe as they may appear to us — have to work very hard to stay in line with the increasingly strict requirements for runway work. But as always, we want to know what you think. Is it a fair trade to put natural good looks on display and get a pittance in return? Or is this a cause that deserves more advocacy? A crowd of strutting, six-and-change-foot-tall models at a union meeting would, after all, be a force to be reckoned with.